Download the installer file from here. 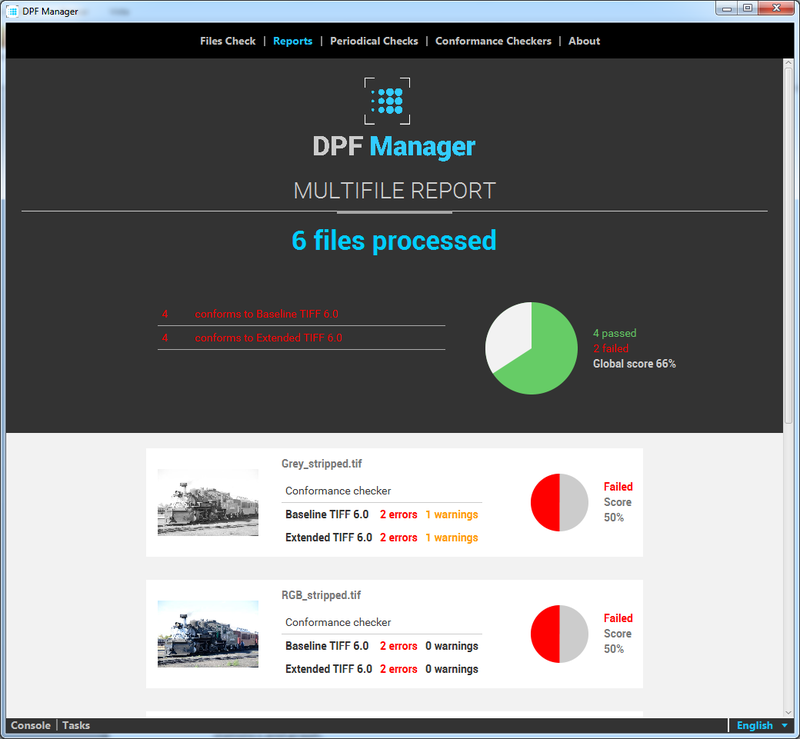 You have DPF manager installed in your Applications folder. Download the installer file from here either in .deb or .rpm format. Run the downloaded installer. It will open the Software Center. Click "install". When prompted, click "ignore and install". When prompted, enter your password to grant administrator privileges. Click "Install" when asked and wait until the packages have been installed. Download the .exe installer from here. 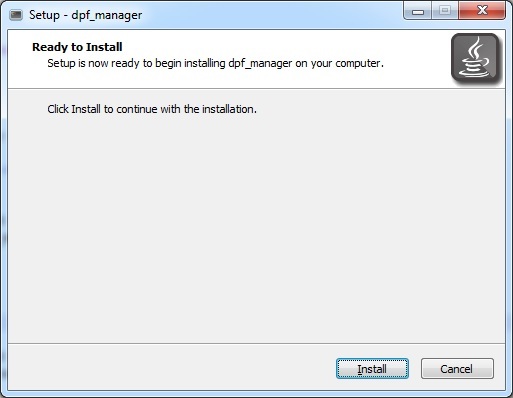 You have DPF manager installed in your computer. You can find it in the windows start menu. Default location installed by .exe: "YOUR_USER\AppData\Local\DPF Manager"
DPF Manager can be run in command line mode (CLI) and through a Graphical user interface (GUI). 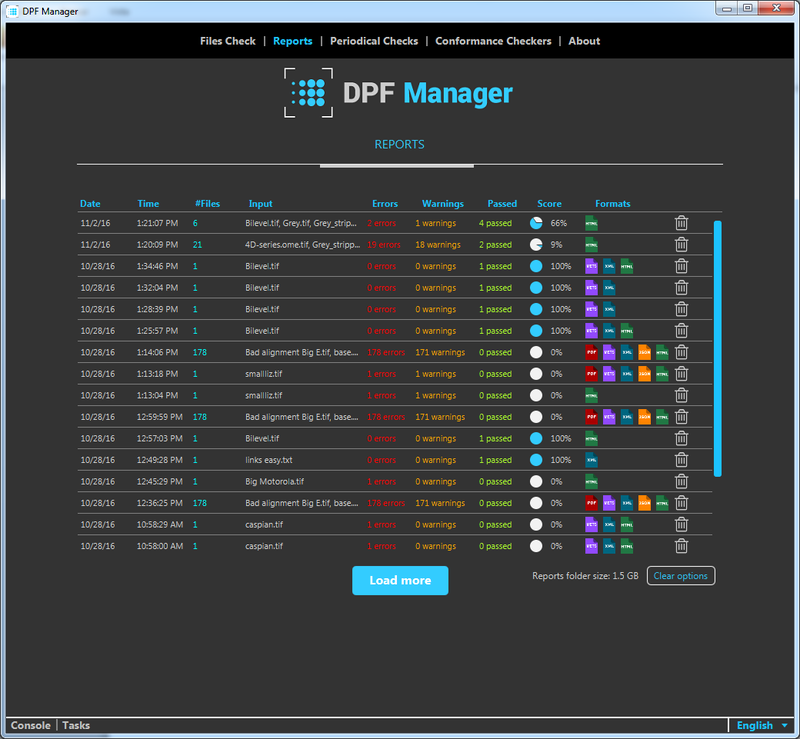 In Linux there is a single executable for both interfaces of the DPF Manager, with the name "dpf-manager". 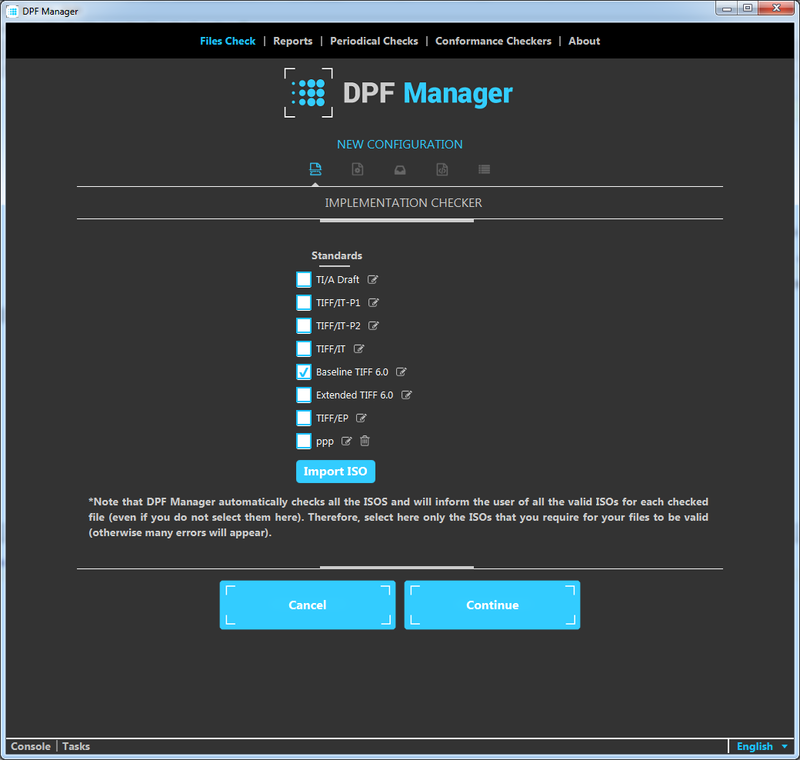 In order to open the GUI, execute “dpf-manager” (without parameters). For running the CLI, execute it with parameters, e.g. "dpf-manager --help". In Windows there are two executables, one for the CLI, named "dpf-manager-console.exe" and another one for the GUI, named "DPF Manager.exe". 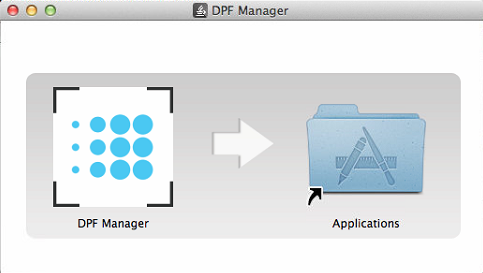 For MacOS, there is a single package in the Applications folder with the name "DPF Manager" that runs the GUI by default (double-clicking it). The CLI can be run by executing the inner executable "DPF Manager.app/Contents/MacOS/DPF Manager" through the terminal. You can create a shortcut with the command: alias dpf_manager="/Applications/DPF\ Manager.app/Contents/MacOS/DPF\ Manager"
check: Performs a local files check. config: Manages the configuration files. gui: Launches graphical user interface. modules: Manage the conformance checkers. remote: Performs remote file checks. server: Launches the server mode. -h, --help: Shows this screen. -l, --language: Change the application language. -v, --version: Shows application version number. A file. It can be either and absolute or a relative path. Example: "image.tif"
A folder. All the files inside the folder will be processed. Example: "photos/tifimages"
A zip file. Example: "images.zip"
Specifies a output folder for the summary report. Where name is the name of output folder. Default value is "report"
Where type can be xml, json and html, separated by commas. Default value is "xml,json,html"
Do not show info messages in the CLI. Where filename is the name of configuration file. Specify maximum number of threads used for checking. By default, SO chooses. Open the report at the end of the execution. The name can be either a path or a configuration file name. Edit the execution path of a conformance checker. Use 'dpf-manager config --list autofix' to see the autofixes list. Sets the description of the configuration. If description is 'EMPTY', it will remove the description. Disables a rule of an iso. Use 'dpf-manager config --list iso' to see the ISOs list. Enables a rule of an iso. Adds a fix specified by the parameters. Adds an ISO to check. Path can be either a path or 'DEFAULT'. Removes a ISO to check. Type must be 'error' or 'warning'. Tag must be an accepted Tag. Use 'dpf-manager config --list rule' to see the list of accepted tags. Operator must be 'GT' (Greather than), 'LT' (Less than) or 'EQ' (Equals). Type must be 'addTag' or 'removeTag'. Tag must be an accepted Tag. Use 'dpf-manager config --list fix' to see the list of accepted tags. Value is the value of the added tag. Where name is the name of the conformance checker and path is its location. Set the configuration of a conformance checker. Where name is the name of the conformance checker. Set the extensions of a conformance checker. Where ext1...extn are the file extensions. For example 'tif,tiff'. Get information of a conformance checker. Show the list of conformance checkers. Set the input parameters of a conformance checker. Where name is the name of the conformance checker and parameters its arguments. Remove a conformance checker from the list. Add a new periodical check. It requires the options periodicity, configure and the sources. Where filename is the path to the configuration file. Edits the periodical check with the specified id. It requires the options periodicity, configure and the sources. Where id is the identifier of the periodical check. Specifies the periodical check mode. It must be D (daily), W (weekly) or M (monthly). In case of weekly, extra_info must be a list of the week days (with numbers, where 1 = Monday and 7 = Sunday) separated by ','. In case of monthly, extra_info must be the number of the day of the month (between 1 and 28, both included). Removes the periodical check with the specified id. Where id is the identificator of the periodical check. Specifies the time for the periodical check. The time format must be HH:mm. Default value is '00:00'. Specifies the report format (overriding the one in the config file). Where type can be xml, json and html, separated by commas. Default value is "xml,html". Where id id the job identifier. Specifies the output folder (overriding the one specified in the config file). Where path is the destination folder. Specifies the remote server url. Where url is the complete URI. For example "http://example.com/dpfmanager", or also with a custom port "example.com:9000/dpfmanager"
Wait for a remote check to finish. Where port_number is the port number. Default port is randomly chosen. 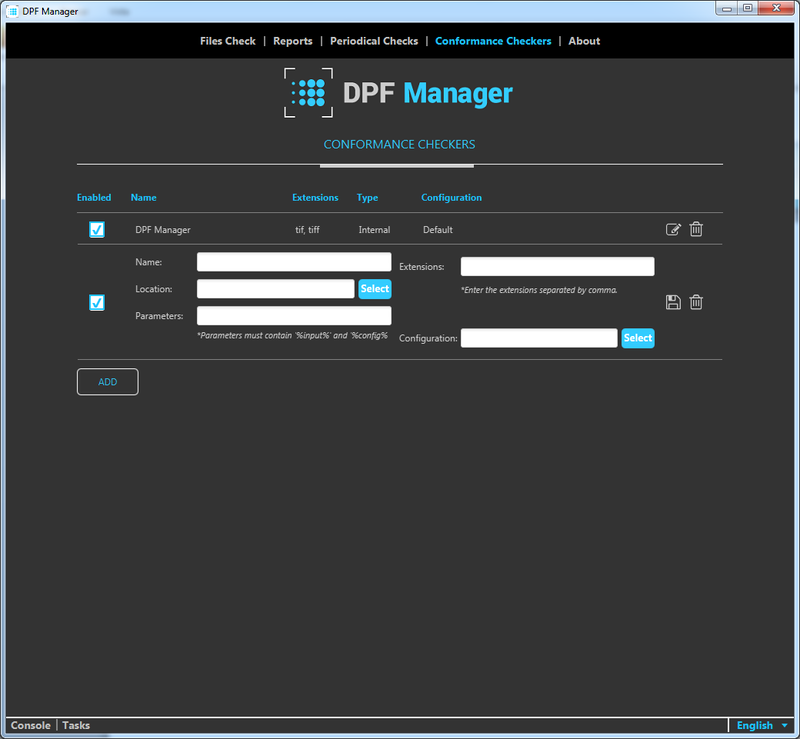 To run the DPF Manager with graphical user interface, double click the DPF Manager, or execute it without params. Select or create a configuration file, with a 5-step process which consists of selecting the profiles to be checked, defining the policy checker, specifying the report format/s and defining the metadata fixes and autofixes. Then select a file to process, and click the "Check files" button to see the results in the defined report format (HTML by default). You can view the list of all generated reports in the reports tab. Periodical checks can be configured from the Periodical Checks tab. In the tab Conformance Checkers, the external conformance checkers can be managed. Consult the User Manual for more detailed instructions.